That’s because those of you who even think about pruning are a dying breed. Over the last four decades, we’ve seen how much more likely it has become for people to either hire out for lawn service or flat out neglect their properties. A lot of the DIYers are … us. They’re working in lawn service! Anyway, back to your question. If you need to prune, do it now. Whenever you’re reading this. Get it done … just do it right. Here’s what we mean. Most homeowners want to maintain an attractive shape and keep trees and shrubs out of their way. Contrary to what many lawn and garden commentators say, the average homeowner can do this any time of year as long as they don’t do it too frequently. You can do this in any season here because central Indiana trees and shrubs are hardy enough to withstand violent changes in weather patterns (just like Hoosiers are), wind, storms, hail … even your trimming tools. 40 years of experience have taught us that taming trees and shrubs that have grown out of control, removing dead branches, and preventing limbs from becoming a hazard is a year-round job. We also know timing is far less important than technique. 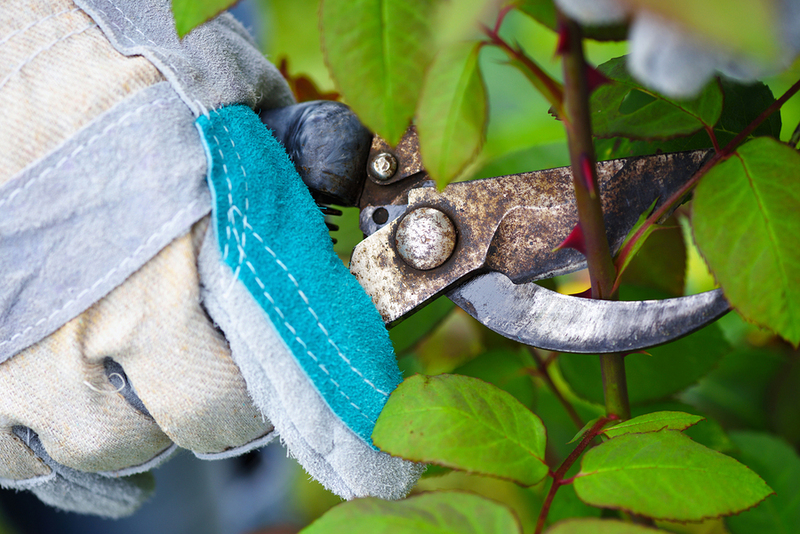 Essentially, the most important thing to know about pruning is not to be too hard on the tree or shrub. Practice common sense when it comes to flowering shrubs. Part of why nature made flowers pretty is to remind us not to hurt them as they are developing. You don’t want to damage the part of the shrub where it is investing most of its nutrients. The most important tip for pruning trees is not to cut a stem too close to a branch, or a branch too close to a trunk. That wounds the tree unnecessarily. You generally want to make your cut about a quarter of an inch out. Much more than that, and you’ll leave an unattractive stub. How much of a tree you can remove in one pruning. 50%-10% depending on the age of the tree. The effects of tree topping. Limiting how much is cut off the top branches is recommended. Advice for tree training. How to start early to prune for structural integrity. What tools to use. When to put down the hand pruners and pick up hedge shears. Or, just tell them to contact us with all their lawn care questions!